“People should be distinguished by the things that they did, and their individual qualities, rather than by a [sacred] thread” – paraphrased from a comment by Guru Nanak Devji. To my Sikh brethren and all those who follow the Sikh philosophy, my very best wishes on this auspicious day – Guru Nanak Devji’s Birthday. Wahegurujee da khalsa, wahegurujee di fateh. For those not in the know, Guru Nanak was the founder of the Sikh religion and is the first of the 10 Gurus on whose teachings Sikhism was formed. I started writing today’s article in the airport lounge at FCO, but could not finish it. Now returned home and am putting the final touches to it. 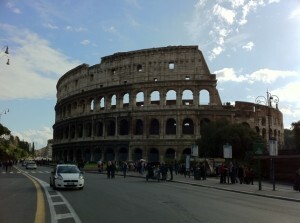 The morning in Rome was very pleasant.. compared to yesterday anyway. So, another glimpse of Rome follows below.. because yesterday it was absolutely chucking it down when I was in the vicinity of this structure that there was no point taking a pic. A fantastic lunch in a restaurant serving Tuscan food and then onto the airport. I’ll have to start ramping up the collection of funds and I would like your help in raising more. 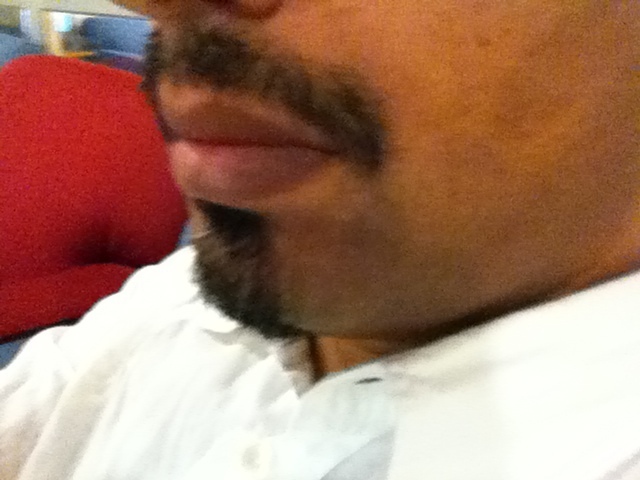 So far �190 has been raised via my Mo Space.. I would like to bring in at least �500.